Bulgarian Prime Minister Boiko Borissov’s centre-right GERB party, the majority partner in government, distanced itself on October 6 from its controversial MP Anton Todorov after he issued an implicit threat against a breakfast television talk show host. This is the latest controversy involving Todorov, whose planned nomination by GERB to head the Dossier Commission was dropped amid an outcry about his background, and after Todorov alleged in Parliament that President Roumen Radev had taken a bribe to favour the Gripen offer in Bulgaria’s fighter jet acquisition process. In an October 6 interview with Nova Televizia breakfast show host Viktor Nikolaev, Todorovmade reference to Nikolaev’s former co-host Ani Tsolova being shifted off the programme and hinted the same could happen to him. Nikolaev had been asking questions about the fighter jet acquisition process, Radev and the Gripen bid. Todorov told Nikolaev that his questions on the programme were “shaking the state”, that he was using “very strong words” and he told the host to note that Tsolova’s chair was empty. “They will eat your bread, they have already taken away your colleague’s bread,” the GERB MP said. Todorov, who was a member of the parliamentary ad hoc committee that investigated the process that led up to an expert interdepartmental committee presenting a report to the Gerdzhikov caretaker cabinet earlier in 2017 that rated the Gripen bid the best, alleged that investigators in Hungary, the Czech Republic and South Africa had “gathered evidence” that the Swedish company had paid for lobbying. He went on to refer to the fact that Radev, then the commander of the Bulgarian Air Force, had headed the integrated team on the selection of a new multi-role fighter jet. In the hours after the broadcast, GERB issued a statement saying that the party saw no bad or awkward questions, only inaccurate answers. The views put forth by Todorov were his own, GERB said. 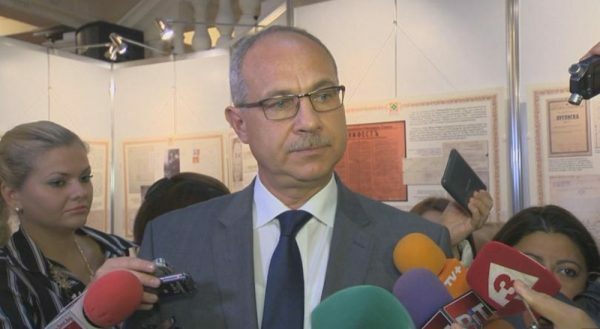 Nova Televizia’s management issued a statement saying that they stood behind their journalist and described the GERB MP’s conduct as unacceptable. It was the job of Nikolaev and other journalists to ask questions, Nova said, adding that responding with insults to journalistic questions instead of giving answers was an attempt to get away from the actual topic. The Association of European Journalists – Bulgaria called on the country’s media to show solidarity with Nikolaev. It called on GERB to withdraw its confidence from Todorov, “otherwise his words could be received as recognition that those in power are putting pressure on one of the largest television stations in the country”. “We believe that it is correct for the Bulgarian media to boycott the government of the day, which openly exerts pressure on journalists and shows disregard for freedom of speech, which is the main guarantor of the existence of a democratic society,” the AEJ-Bulgaria said. Sofia Vladimirova, head of the Council for Electronic Media (CEM) – the body intended by law to regulate Bulgaria’s broadcast media – said that the council did not accept threats to journalists. “Studio guests are invited to respond to journalists’ questions on topical issues and important topics. Such behaviour (by Todorov) approaches hate speech,” she said. CEM would “monitor” the case, Vladimirova said. The opposition Bulgarian Socialist Party joined in condemnation of Todorov, while two parties not represented in the National Assembly, Hristo Ivanov’s Yes Bulgaria and the Bulgaria for Citizens Movement, called for Todorov’s resignation from Parliament. In the late afternoon, Todorov posted on Facebook that although his words in the interview had been “misinterpreted and misunderstood”, he offered his apology to Nikolaev. Separately, in a statement to Bulgarian media, Saab rejected Todorov’s allegations regarding the Gripen deals as absolutely untrue, adding that the company ran its business on the basis of high quality and honesty. “Everything else runs counter to our strict standards and is completely unacceptable,” the Swedish company said. Also interviewed by Nikolaev in Nova’s morning show was Deputy Prime Minister Valeri Simeonov, who also made reference to Tsolova’s departure in a way that some media also interpreted as a threat to the host. Later on October 6, Simeonov said that someone would have to be “biased, misled or paid” to see what he had said as a threat.